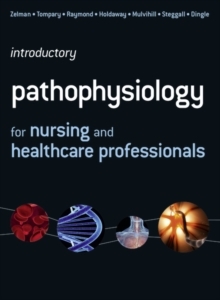 Introduction to Pathophysiology for Nurses and Healthcare Professionals is the most comprehensive visual survey of pathophysiology affecting each body system. Using full colour illustrations, photographs and learning features, this book makes the potentially complex subject of pathophysiology interesting and accessible. Each chapter discusses the common pathologies for each body system, along with the prevalence of the disease in the UK. The text is aimed at students and healthcare professionals who are learning about applied pathophysiology and related pharmacology and is an ideal introduction to the subject, enabling care to be based on a sound foundation of what is going on in the body.